Posted on October 7, 2015. If one or more doors in your home are damaged or no longer look their best, a door replacement in Beaverton may be necessary. Several replacement options are available, including storm, entry and sliding patio doors. Not sure what to get? There are a few tips that may help you make your decision a bit faster. If the front door of your home is the damaged one, sliding glass doors would not likely be your first choice. Check out the different styles available based on the room in your home that could currently use a door replacement in Beaverton. There are dozens of styles in different colors, such as oak wood and cherry wood, all of which look beautiful and valuable. Although you may see a style you like, consider whether or not it will look right when added to your home. Something too light or too dark may not necessarily match with the rest of the room. Matching colors is important if you want any room in your home to look good. 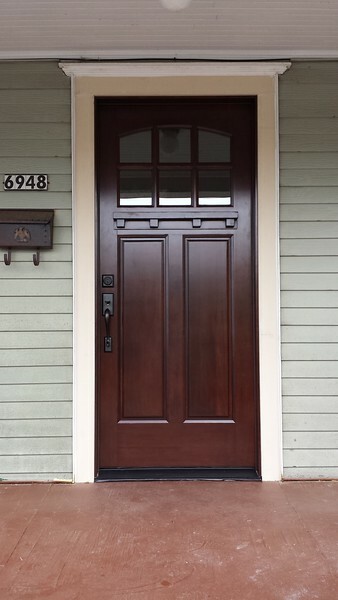 Finding the perfect match when searching for the right door replacement in Beaverton should not take long due to the various style options offered. When you are working with a budget, make sure you can afford the replacement you want. Although the cost of the door may initially seem a bit high, it may be due to the quality of the materials used to put the product together. Energy efficient options often tend to be priced slightly higher than those that are not energy efficient, but that is because they will help you save more of your money in the long run. Why leave a damaged door in your home? Simply choose a door replacement in Beaverton and have it installed. It may instantly make a difference in the room, making it look more elegant and sophisticated than before.